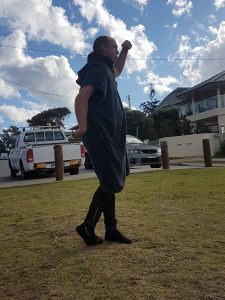 If you have never dived in Sydney or even if you are a regular diver, you will be astounded at what lives on your doorstep. 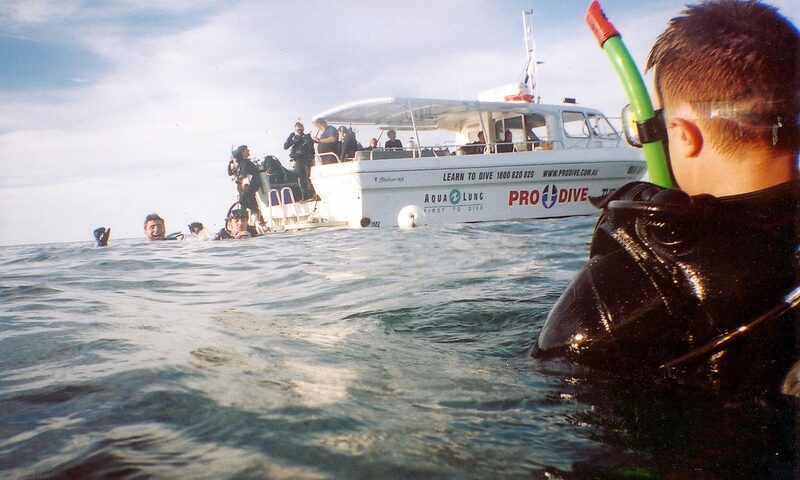 Our staff are always pleasantly surprised when divers get a buzz out of seeing the amazing marine life Sydney has to offer. Come and see the vast array of creatures and critters that live in Sydney, as some of them don’t exist anywhere else in the world! 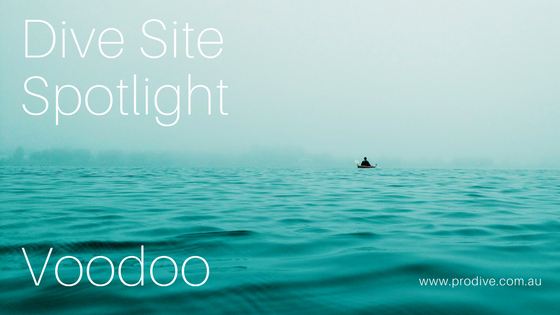 This post will provide insight into some of those creatures you can expect to see. These guys are the puppies of the Ocean, extremely inquisitive and playful they will follow you for the entirety of your dive sometimes! 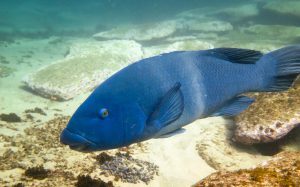 Blue Grouper will swim up and investigate divers quite often creeping up and surprising them in the water. All we ask is that you do not touch them! Of all the creatures on this list these guys are the heavy weight champions, as they can tip the scales at 10kg’s at their heaviest. These are the biggest Cuttlefish in the world and are only found in Australia. 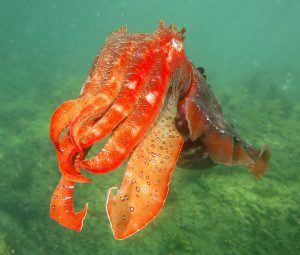 With an amazing capacity to change colour, Cuttlefish put on spectacular displays as they move from reef to kelp to sand really putting on a show for divers. 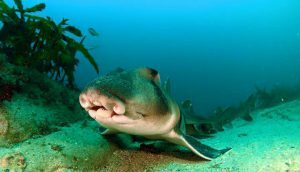 Sydney’s very own shark are named after the Port Jackson. As soon as you see these guys you’re not going to believe they’re Sharks. Port Jacksons can grow up to 1.5m long, we normally see these guys at about 1m long, if you are lucky enough in the winter you may even get to see some of the baby sharks as they hatch! Turtles are a rare treat, so if you do see one on a dive you should probably do the lotto as well. We tend to see Green turtles here in Sydney but being an endangered species, sightings are rare. 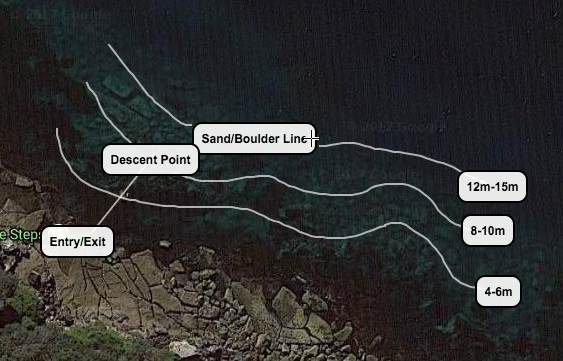 Oak Park, Kurnell and Freshwater are the three dive sites with most frequent Turtle sightings. Or the carpet shark, these guys are the masters of camouflage. Often found under overhangs or ledges these sharks ambush small fish that get too close to those whiskers! 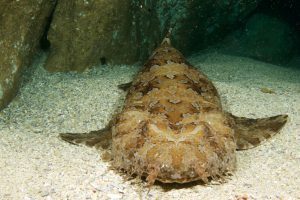 The Ornate Wobbegong that we get in Sydney can grow up to 3m in length! Last but by no means least, is the Weedy Sea Dragon. 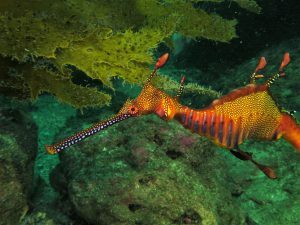 There are only two types of Sea Dragon in Australia and Sydney has the Weedy variety. Orange bodied, covered in Blue stripes with White spots, making them really easy to find right? Wrong, hiding in kelp beds these guys blend into their habitat exceptionally well. A big thank you to our divers and Instructors for contributing your photos (Trent Mulligan, Michael Ettinghauser & Luke Davies). 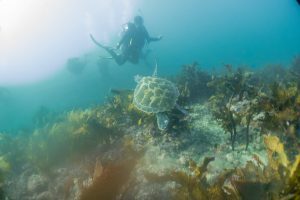 If reading this has wet your appetite for diving, come and learn to dive with us.